At its peak, three tickets a second were being given away – amounting to over 10,000 per hour. 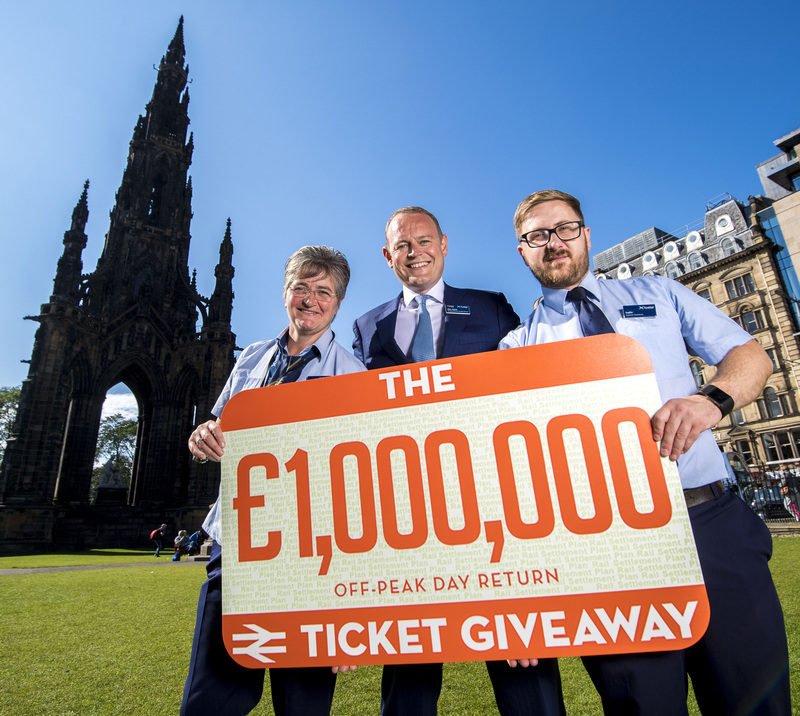 Image: ScotRail Alliance managing director Alex Hynes promotes the Million Pound Giveaway with team members from Edinburgh Waverley. (Credit: ScotRail Alliance).